Six ingredients and a little bit of time make for one delicious meal! This Beef and Rice Casserole recipe is made for the “queens of ease.” That would be me – easy is aaalllwaaays in style! Maybe you are one too? 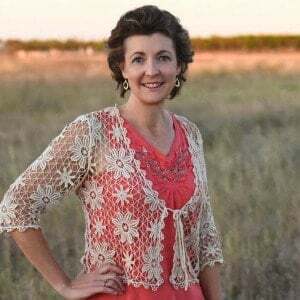 You know who I’m talking about – kitchen queens who want an easy meal but who don’t want to sacrifice quality or taste. That is definitely me! And, I don’t think it is just me. Because I’m looking on Pinterest and I see lots of recipes built to be easy and nutritious. You’re fabulous! The following recipe can be prepared with plain ‘ol ground beef and white rice. If you want to raise the nutritional value, try grass-fed beef and brown rice. We have plenty of homegrown, grass-fed ground beef around because we butcher our own steers. It’s a lot of work, but it is absolutely worth it to us for the nutritional benefits. One of the health benefits of grass-fed beef is that the omega fats are much much higher than typical store-bought meat. Another benefit is the cows (steers) are not fed grains or cattle feed containing hormones and antibiotics. If you have access to grass-fed beef where you live, I highly recommend making the purchase. As you can see, it is just a matter of preparing all ingredients, layering and baking – easy peasy! 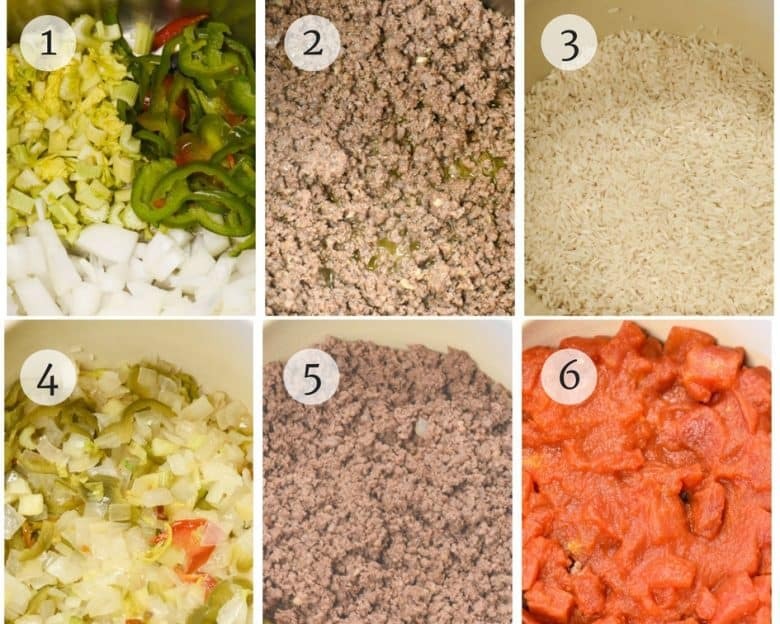 Tips for Making the Beef and Rice Casserole Recipe! This recipe works well in a 2 quart, deep dish casserole. However, when using a shallow baking dish, add 1/2 cup tomato juice extra. The amount of liquid is sufficient to cook the rice when the dish is covered with foil. If using brown rice. add an extra 1/2 cup of tomato juice (or water) and keep a close eye on it. For a more budget friendly meal – double all ingredients except the ground beef. One-pot meals are comforting and easy! In a little butter, saute the onion, celery and green pepper. Brown beef and season with salt and pepper to taste. Place uncooked rice in the bottom of a deep dish casserole that has been prepared with a nonstick spray. Place the onion, celery and pepper on the rice. Add the browned beef and layer on top. Cover with tomatoes and tomato juice. Cover baking dish with foil and cook at 350 F until the rice is done - about 45 minutes. Add grated cheese on top (if using) after 35 minutes and return to oven for 10 minutes or until rice is tender. Bake in a 4 quart deep dish. If using a shallow baking dish, add 1/2 c tomato juice extra (water may also be used). Test the rice using a spoon - slide it down the edge of the dish to check if the rice is tender. This sounds delicious! Is there an ingredient missing on the list? Step #6 says to cover with tomatoes and tomato juice but only the tomato juice is listed in the ingredient list. Thank you, Gay! Even though I do reread for mistakes, things still slip through! I have corrected it! Thank you for the update! I have this recipe on my menu for this week. I can’t wait to try it! Gay, thanks again for calling that to my attention! Do you add cheese on top? It doesnt mention it in the description but from the picture it seemed like it? There does not seem to be enough liquid to cook the rice? Is 1 c. dice tomato with juice a 16 oz can? Adraine, yes that includes the juice – it is stated in the recipe. I hope you enjoy it! if we wanted to put more rice would all the quantities change? Amir, I would increase everything but at least the liquid to help the rice cook. How much liquid do you add. Bonnie, it calls for the liquid from the juice of the diced tomatoes and I have found that to be enough. You can always check it about 20 mins to make sure and add a bit if needed. I have not needed to do this though. I hope you enjoy it! I love this recipe! 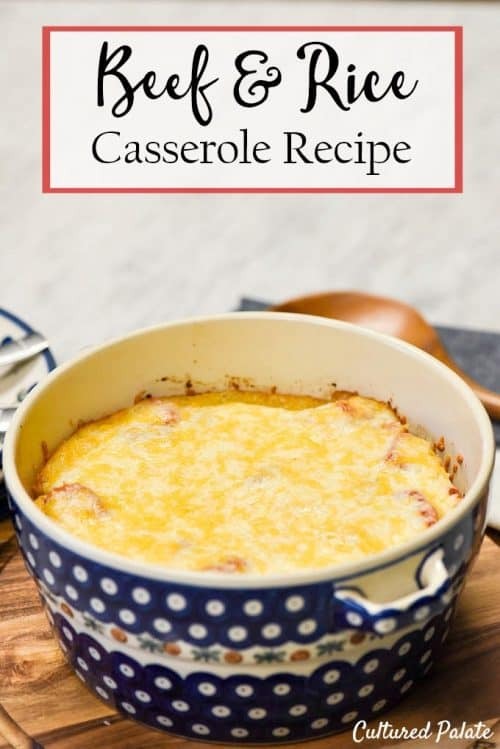 My husband loves casseroles, this was perfect! Great, so glad you liked it, Tina. I love it being so easy! Kate, it really depends on how many servings you are making – if you adjust the servings that are written. I think the one I use for 6 servings is a 4 qt deep dish. The rice does expand some but not that much. I hope this helps. I made this recipe tonight….it is very tasty, however the rice is not cooked. So overall the flavor is good but the uncooked rice detracts from enjoying my meal. Sarah, I am so sorry your rice didn’t cook completely – I know that would be distracting! A couple of questions b/c I have tested this recipe multiple times and found that a deep dish casserole works best. So, what type of dish did you cook it in? Did you cover it with foil? Brown rice does take more liquid to fully cook. Also, you can check the rice to make sure it is done by sliding a spoon down the side and pushing the toppings back to check. 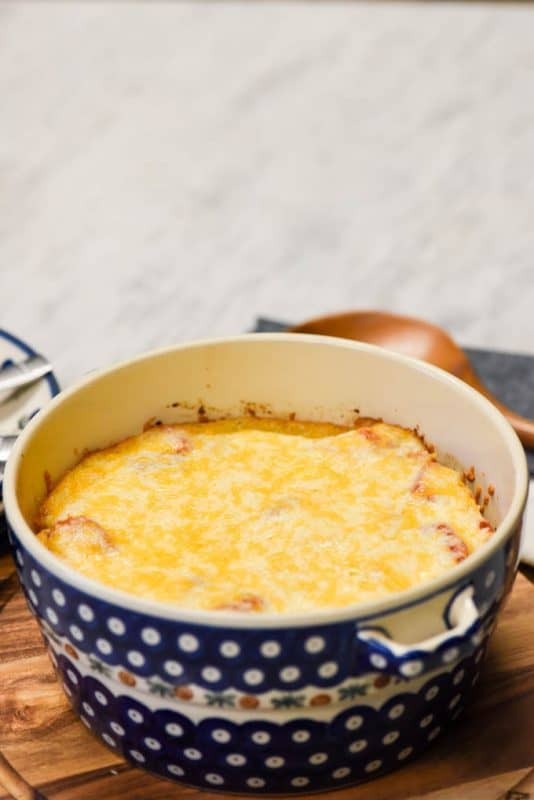 This is an easy casserole that my whole family loves! I don’t think you mean 2 stalks of celery. I think you mean 2 ribs.